Direct Mail 101 - Why Direct Mail in the 21st Century? Direct Mail 101 - Why Direct Mail in the 21st Century? A lot of people don’t want you to read this book. Why? Because this book gives you ALL the secrets of successful direct marketing you’ll ever need. It’s not just about Direct Mail, it’s about selling! …and most importantly plan your way to success and explode your sales potential in a way you just cannot do with any other medium. There are literally millions of names of people available who need to know about you and your product/service and I show you how to find them and through testing produce huge predictable success. “If you are like most people struggling to build your business, here is a way to double or treble your internet sales whilst tapping into a completely new revenue stream. 21st Century Direct Mail is the key to unlocking huge opportunities from new relationships, building business and increasing your profits. If you’re in business to make money, This book will change your life, literally. If you thought you knew Direct Mail, think again! 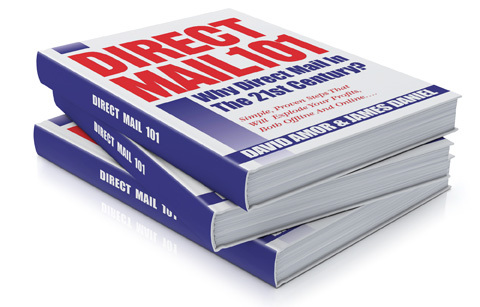 Direct Mail 101 is the de-facto book, that leads you through a 101 simple proven steps that will explode your profits, both online and offline. Build a truly responsive list of customers. Write Attention grabbing headlines that wins over your audience. Close the deal every time with 7 of the most powerful techniques. Direct Mail 101 will take you on a journey of discovery with 101 simple proven steps to explode your profits. By the end of this book, you’ll see that Direct Mail is alive and kicking – both as a source of instant profits and long-term business growth. By following the steps we’ve outlined, even your first campaign should deliver a good number of leads or sales. Then eventually, once you’ve established your “control” version, DM will become a predictable – and highly profitable – marketing system. That’s not to say, of course, that you should be monogamous! In marketing,there’s no silver bullet, no single marketing channel to replace all others. Success comes from testing multiple ways to communicate and sell your wares. In fact, research has shown that when a DM campaign combines with at least one other channel, results will improve by an average of 24%. You’ll find top tips and a wealth of experience to fall back on throughout this extensive work, and examples of some of the world’s most successful direct mail campaigns to get you started. David is an award-winning direct marketer and whilst working with Grey technologies he secured a first ever DMA award for a mailing house in 2014. He has worked in the direct mail and print industries for close to three decades. Over the last 17 years, David has built his company First Move, to be a premier supplier of direct mail services, as well as a leader in associated outsourced fulfilment. James is a UK Copywriter, and author of the writer’s guide “Do You Talk Like That At Home?” He spent 8 years as a journalist, then 9 years in corporate sales and marketing – all while juggling a fistful of writing projects for TV and radio. In 2013, James won the Canmol Technology Marketing Award from the Chartered Institute of Marketing in Wales, recognising a control-beating direct mail campaign created for Hidden Hearing.